The first Experimental High Energy Physics school was held in Jan 1995. 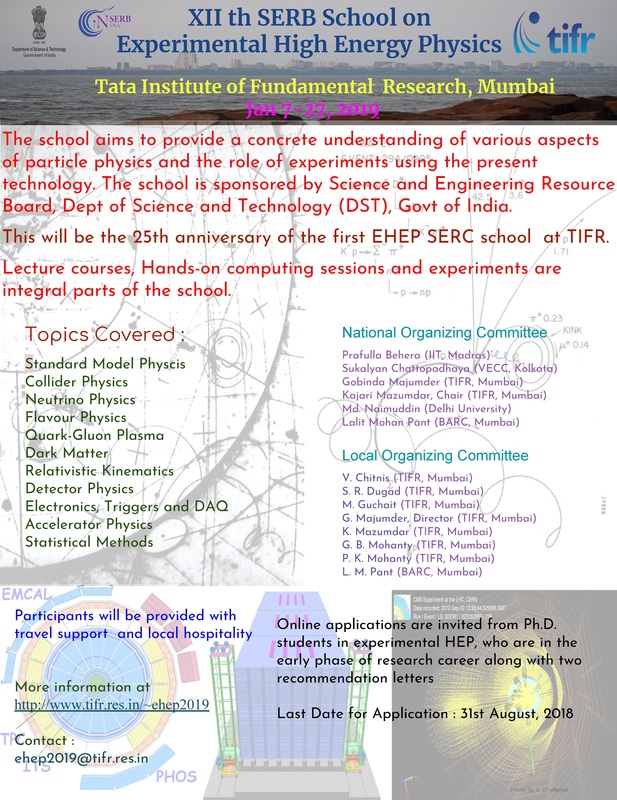 It was started in view of growing need for basic training of young researchers in various aspects of experimental physics when several Indian groups started participating in large scale particle physics experiments in the country and in abroad. The highly sucessful training programme, completely sponsored by Department of Science and Technology (DST) has trained generations of PhD students, who has done well in their career. In the current series, under the aegis of Science and Engineering Research Board (SERB), previous two schools were held at Delhi University (2015) and NISER, Bhubneswar (2017).